Are you a budding novelist? Are you looking for a push in the right direction? Do you enjoy abbreviations? If you answered yes to any of the above, NaNoWriMo might just be for you. 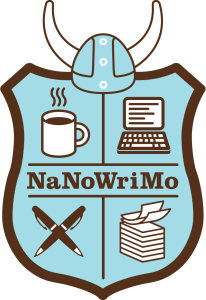 What’s NaNoWriMo? Disappointingly, it’s not the second verse of The Sound of Music’s Do-Re-Mi. Apologies to fans of either Julie Andrews or singing Austrian schoolkids. National Novel Writing Month (usually shortened to NaNoWriMo, because who has the time?) is an annual event held in November that aims to get the world’s creative writing juices flowing. The core idea is simple enough; write a story of at least 50,000 words (NaNoWriMo’s definition of a novel) in the month of November. From humble beginnings in 1999, when 21 San Franciscans put pen to paper, NaNoWriMo has become a worldwide phenomenon. The 2015 iteration saw over 430,000 people take part, generating billions of words between them. Over 250 NaNoWriMo novels have been taken on by publishing houses, including such seminal titles as Sara Gruen’s Water for Elephants and Erin Morgenstern’s The Night Circus. Strangely for a writing task, NaNoWriMo’s focus is on quantity over quality. They don’t care how you get to 50,000 words; like a marathoner who’s lost bowel control, they just want you to get there. ‘Completion over perfection’, as the organisation puts it. NaNoWriMo is about getting the foundations of a novel down. The way they see it, the first step of writing a novel – that very first draft – is by far the hardest to complete. You’ve got an endless amount of time to cut, graft, mould and sculpt your novel into a marble Michelangelo masterpiece after the month of November. For now, NaNoWriMo just wants that quill scribbling. Entrants must write at least 50,000 words, whether that be a complete novel, or simply the beginning of one (by way of comparison, such classics as The Hitchhiker’s Guide to the Galaxy and The Great Gatsby are around 50,000 words). The definition of ‘novel’ is fantastically broad, with NaNoWriMo stating ‘If you believe you’re writing a novel, we believe you’re writing a novel too’. Fan fiction, metafiction, a story about an inanimate doorknob that just does doorknob type stuff; anything goes. Participants are permitted to plan a structure prior to November, but the first word of the novel proper must wait until 12:00am on the 1st day of the month. The 50,000th word must be typed before 11:59:59pm on November 30 for the participant to be considered a ‘winner’. Like a duel at 20 paces, NaNoWriMo basically works on an honour system, as they use an automated computer program to count the words in any participant’s entry. Unlike a duel at 20 paces, hopefully no one is shot. Because of this, it’s entirely possible for no one but the author to read the completed work. But due to the fact that the only real prize is the feeling of satisfaction that comes from properly completing the task, this system is very rarely abused. Apologies to those who were hunting for some quick cash or a new set of steak knives. Why have so many people jumped aboard the NaNoWriMo bandwagon? Because, like salt and caramel, it just works. The team at NaNoWriMo have turned author motivation into an art form. They realise that an untold amount of people have ‘write a novel’ languishing unticked on their bucket list. By setting firm parameters, and providing stunning support and encouragement to participants, they’re doing more for the world of literature than almost any other organisation. Thanks for nothing, United Nations. The NaNoWriMo community is a ridiculously supportive one. Everyone is on the same page (do NOT pardon that pun), willing to help others through writer’s block, aid in the search for inspiration, and offer up all manner of expert advice. It takes what has historically been the loneliest of pursuits and turns it into a community event; one that allows you to form a firm focus, meet likeminded people, and gain their assistance in reaching for what might’ve previously seemed an unrealistic goal. I could throw down an elementary school ‘why SHOULDN’T you do it?’ reply, but then you might fire back with ‘I know you are, but what am I?’ and we’d get ourselves nowhere. You should do it because if you’ve ever felt half a pang of desire to write a novel, NaNoWriMo has proven to be the best way to get it done. It offers budding novelists structure, support, and most importantly, fun. It challenges you – and essentially gives you consent – to dive headfirst into something that is constantly pushed down your life’s list of priorities; your first novel. Books, in my experience, generally don’t write themselves. You need something to stir your inner novelist from his or her slumber. NaNoWriMo does just that. Where will your novel inspiration come from? Heck, feel free to steal some themes from this very website. The magic combination of flavours that is salted caramel? Julie Andrews and a singing troupe of Austrian schoolkids (being careful not to lean too heavily on the original)? This NaNoWriMo it’s entirely up to you, good author. And when you do produce your Water for Elephants level NaNoWriMo masterpiece, the team at Damonza will be here ready to deliver the sort of bespoke cover that’ll have the book flying off the shelves as quickly as it flew off your November-weary keyboard.